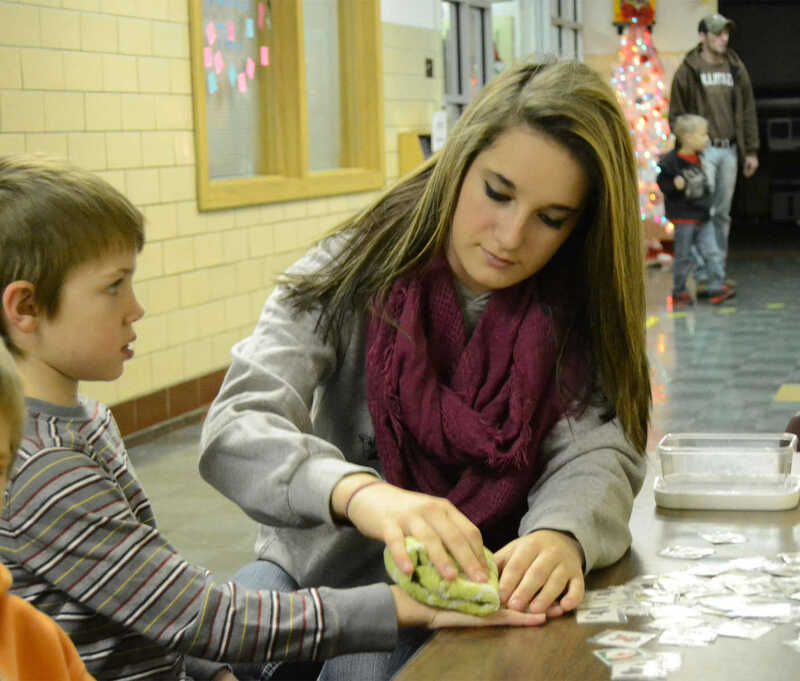 Jessica Johnson puts a tatoo on John Chadd at the Bryan elementary Santa's workshop Thursday. 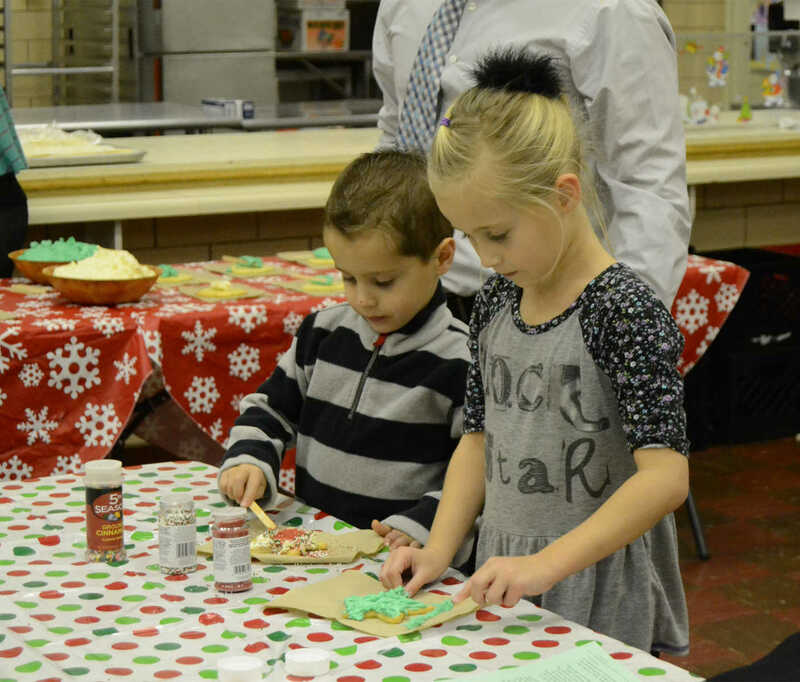 Anderson and Stella Fast decorate cookies at the Bryan elementary Santa's workshop Thursday. 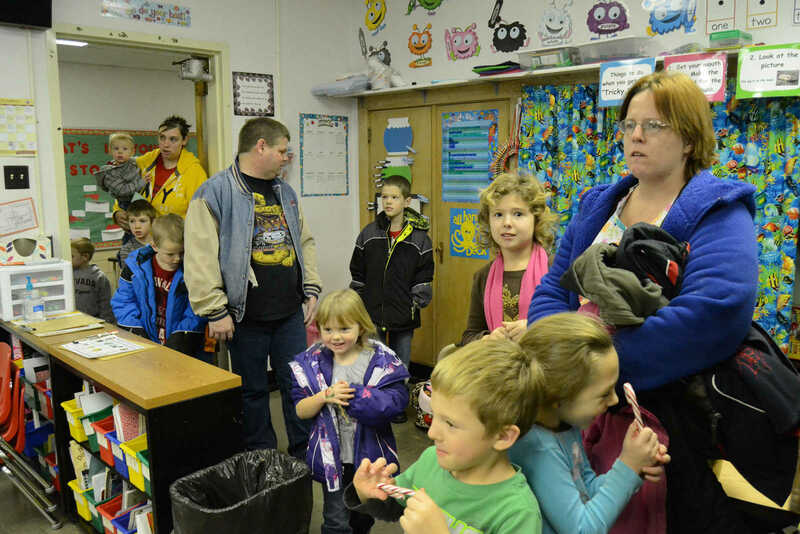 Parents and children line up to see Santa at the Bryan elementary Santa's workshop Thursday. 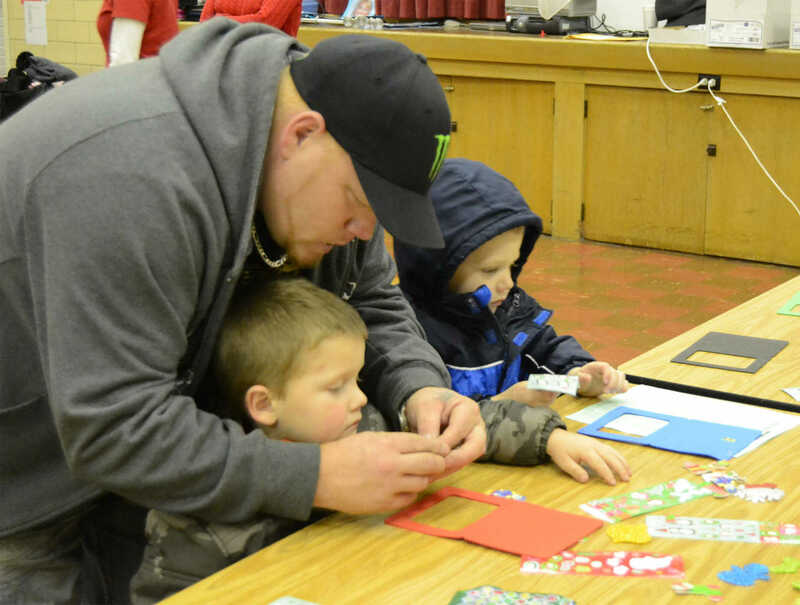 Chris Pendergrass helps Allen and Christian make crafts at the Bryan elementary Santa's workshop Thursday. 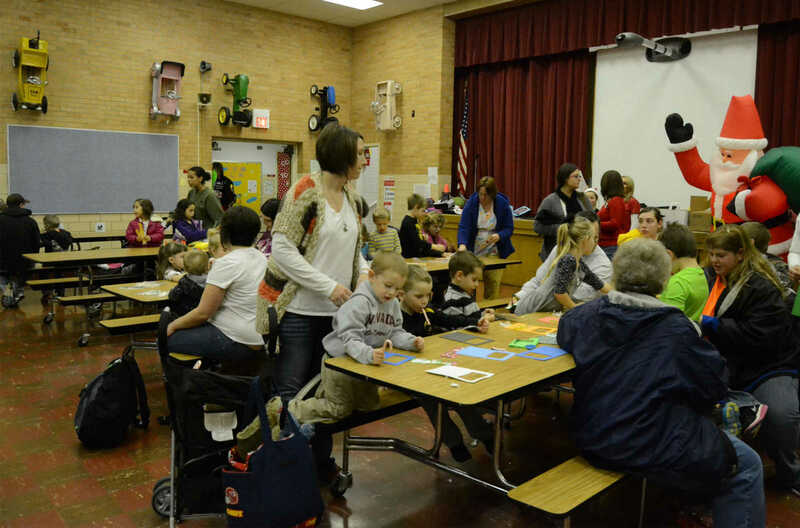 Parents and children fill the Bryan elementary cafeteria during the Santa's workshop on Thursday.